Whether you’re on the road or at home, here’s how to have a fruitful weekend. 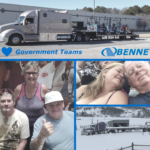 Photo courtesy of Kristina and Michael Seastrom, Bennett Motor Express team drivers. We often think of Memorial Day Weekend as the “beginning” of summer. However, it’s also a time to reflect. In America, Memorial Day is celebrated on the last Monday of May to both remember and honor the fallen members of our armed forces. There are plenty of ways to both pay your respects and celebrate the holiday simultaneously, including those drivers who might be out on the road. For those who are on the road, we’ve got a few suggestions for you to keep in mind in order to have a safe and happy holiday while driving. With more than 36.6 million Americans traveling by automobile throughout Memorial Day Weekend, keeping heightened safety in mind is key. Before you begin a trip, be especially mindful of how much fuel you have, your tire pressure, and other fluid levels. Because travel time is likely to take longer, it’s critical to have your truck prepared for a haul. Because of the high volume of traffic on the roads, try to minimize the number of times you change lanes, keeping in mind truck lane restrictions. Since Memorial Day kicks off the summer driving season, now is a good time to check your emergency kit. Make sure you have a fully charged fire extinguisher, reflective triangles, a gallon of both oil and coolant, emergency food and water, and a first-aid kit. Keep in mind that there are going to be drivers on the road who might be carrying a boat or jet skis who aren’t accustomed to traveling with them. Allow for extra space and room to break in case of an emergency. Solaire Anywhere Portable Infrared Grill: At 20 pounds, this 14,000 BTU infrared grill packs the most heat of any portable grill. Napoleon TravelQ TQ285 Portable Gas Grill: Both lightweight and compact, this grill can be carried with one hand. Weber Jumbo Joe Portable Charcoal Grill: At only $70, this charcoal grill is big enough for a full-sized cookout in a portable container. Plenty of small towns and cities have annual Memorial Day parades. Check the local paper if you’re taking your reset hours on the road to stop by and enjoy while traveling. Along the road, you’ll find plenty of veterans’ cemeteries where you can place flags on graves to pay respect to those who have lost their lives fighting for our country. If you don’t have a grill or don’t feel like making a mess while on the road, check to see if one these Top 25 Best Barbecue spots in America is along your route. 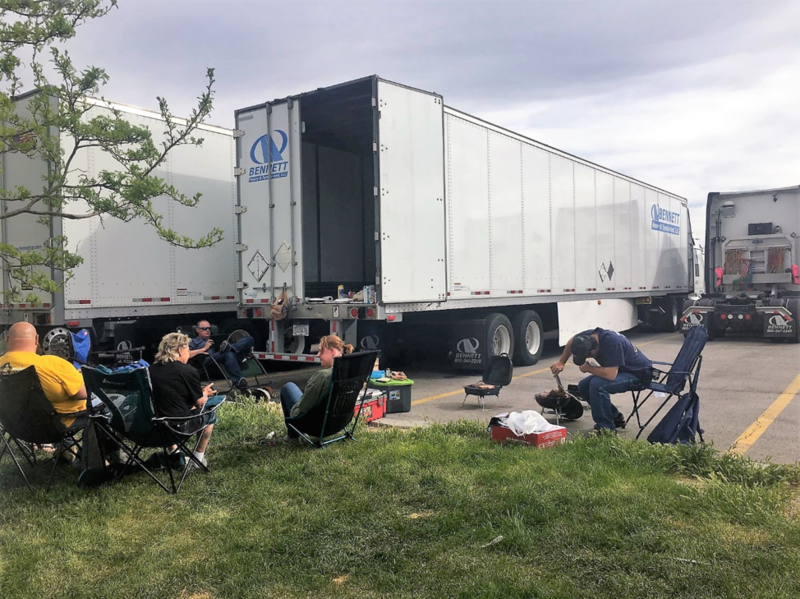 If you happen to be a driver who isn’t hauling freight on Memorial Day, use the weekend to spend time with the ones you love the most. Here are some ideas for how to enjoy Memorial Day Weekend with your entire family. 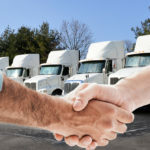 Whether you’re making the usual family rounds or working at home in between family visits, there are so many ways to enjoy the long Memorial Day weekend as a truck driver. 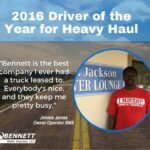 To learn more about Bennett Motor Express and our drivers, check out www.drive4bme.com.